The Minister in the Presidency for Planning, Performance, Monitoring, Evaluation and Administration, Mr Jeff Radebe, will be delivering the opening address at the 2016 BBQ Awards ceremony, to be held in Kempton Park, Johannesburg in October. The 2016 theme of this high-glam party of the year, Sophiatown: The Sound of our Soul, will rock from just after sunset on the 27 October until the early hours of the Friday morning. With entertainment to be provided by Mkizwana Ensemble, Black Ivory and Loyiso Bala, the organiser of the awards evening, Cape Media Corporation, says it will be another night to remember. Programme Directors Rozanne McKenzie (MC, voice artist, presenter on Flits on kykNET and Jacaranda FM) and Leroy Gopale (actor, television personality and voice artist) will be our hosts for the evening and will ensure that everything goes according to plan. The evening is a hugely popular opportunity for South Africa’s top achievers across numerous industries to loosen their neckties and dance the night away to the hottest local music talent. Before the party gets started, however, friendships are formed and strengthened during the pre-event cocktail function and gala dinner, which serves as the background to the announcement of the winners in each of 13 BBQ Awards categories. Winner of two 2015 BBQ Awards (the Volkswagen South Africa New Entrepreneur Award and the Innovation Hub New & Innovative Business Award), Isipho Sempilo HSE Solutions’s Busisiwe Selesho, says winning the awards has given her the strength to do more and to touch more lives. “After the awards we started an initiative to help safety graduates get workplace experience and employment and a lot of lives have been changed. The single best thing in my life that has flowed from winning the BBQ Awards is that we received recognition. “I really did not expect to win an award, never mind winning two. I was thrilled that I was a finalist, but when I heard my name being called out, it really felt like a dream. All the way to the stage I kept thinking I was going to wake up from the dream. And when I heard our name for the second award, I knew we did well, and I knew that our hard work was really paying off. It was a precious moment for us. “I would absolutely recommend other black entrepreneurs to enter into the BBQ Awards. It is really an enlightening moment, knowing that someone recognises what you are doing, because most of the time when running a small business there is always so much going wrong that there is absolutely no time to acknowledge that we are doing well. 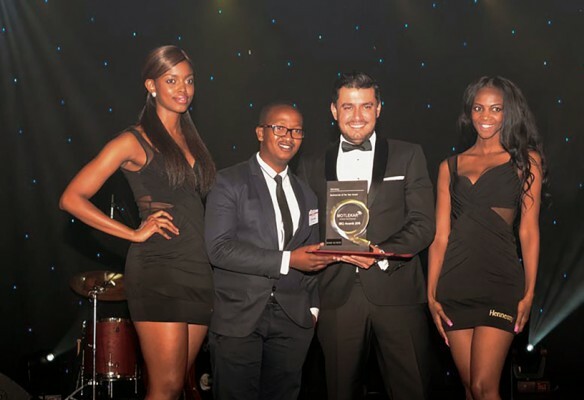 Winning the award provided me and my team with an opportunity to pat ourselves on the back.” Selesho told BBQ the BBQ Awards is making a difference as it is helping businesses know that they can do better. According to Bheki Kunene, Founder of Mind TRIX Media and winner of the 2015 Hennessy Businessman of the Year Award, winning the awards have been helpful in terms of exposing Mind TRIX Media to the relevant stakeholders and clients needed for growth as a brand. “There is a stigma which has a long way to go in our country as far as small black business being associated with inferior quality and service delivery. Being part of the BBQ Awards event exposed many old and new clients to the clear fact that there are small black businesses that deliver work of the same calibre as the established major corporations. The single best thing that came into my life after winning the award was a network of associates that ignited growth,” says Kunene. 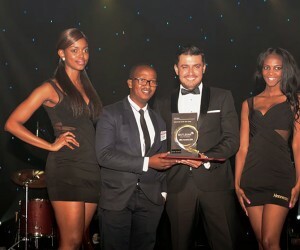 The 2014 winner of the Iqhawe Mentorship Award, Simphiwe Ntlantsana, Managing Director at Ntlantsana Accountants and Auditors, told BBQ since winning their BBQ Award, his company has been noticed by more clients and as result, managed to gain more credible accounts and referrals, to mention but a few. He says the best things that has flowed from winning a BBQ Award are “restoration, acknowledgement and recognition”. Meantime, awards nominations for the 2016 BBQ Awards, one of the hottest awards evenings of the year, have been streaming in from across South Africa. The organiser of the Awards evening, Cape Media Corporation, has announced that there is still time for additional nominations for the 2016 event. To nominate a company or individual in one of the 13 categories, visit the BBQ Awards website and complete the nomination form. For more information or to book a table and attend the event, contact Phumza Mbodlana at phumza.mbodlana@capemedia.co.za or 021 681 7000.